Brian Dewan is one of the true treasures of the Hudson Valley music and arts scene—make that the American music and arts scene. The musician, composer, inventor, voice actor, artist, and folklorist, who I profiled for an enjoyable piece in 2009, is always up to something highly unique and interesting. Take the tour “Artful Hike: Church’s Letters and 19th-Century Ballads,” which the polymath is staging now through October 22 across the Hudson River from his Catskill home, at the home of another artist, painter Frederic Church’s Olana. For the program, Dewan presents dramatic readings of significant period letters from Olana’s collection and performs songs from Church's era. Participants can stroll along the roads designed by Church that traverse the Olana estate as they contemplate his words and the words of his family and contemporaries. The tour is between 1 hour and 1 1/2 hours in length and measures approximately a mile. “Artful Hike: Church’s Letters and 19th-Century Ballads” featuring Brian Dewan takes place at the Olana State Historic Site in Hudson, New York, on September 10 and October 8 and 22 departs from the visitor center at 3pm sharp (in case of rain, meet at the Wagon House education center). 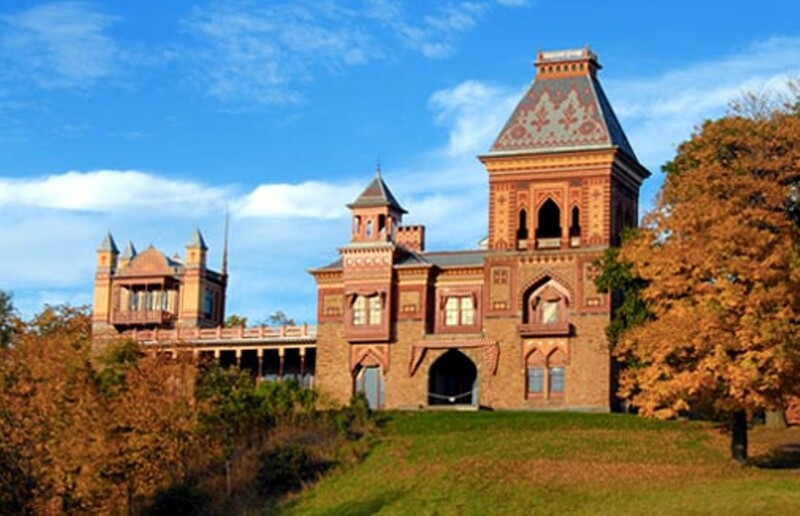 Tickets are $15 for Olana members and $20 for nonmembers. For more information, call (518) 828-0135 or visit http://www.olana.org/.